The Farmhouse Cream Painted Country Oak 2 over 2 chests of drawers is hand made my skilled joiners exclusively for Top Furniture. Delivered FULLY ASSEMBLED. 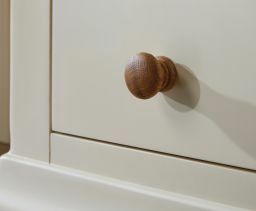 These drawers are manufactured with a sustainable American Oak top and aredelivered fully assembled and ready to use. 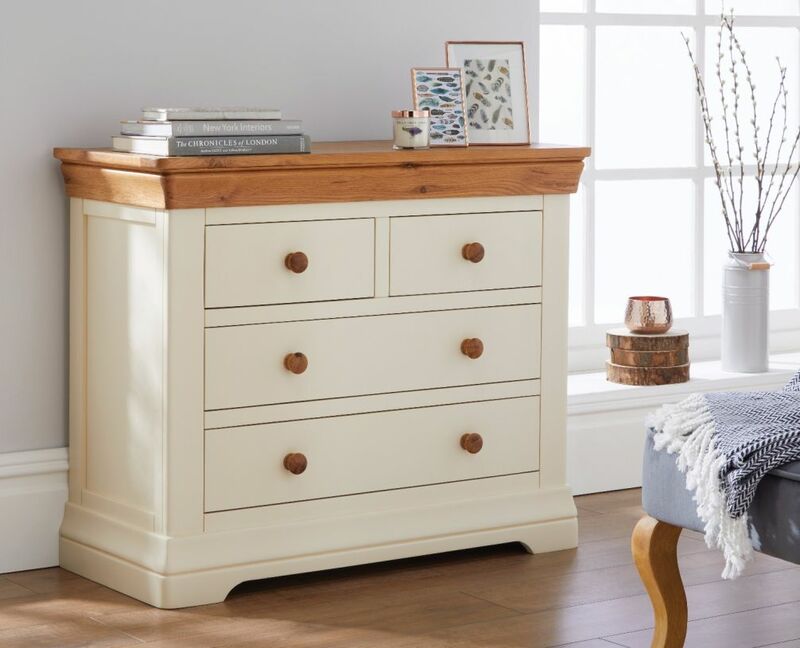 These chest of drawers are finished beautify with a hard wearing cream painted finish which is sure to a great focal point of any bedroom. This chest of drawers offers great storage space for items of clothing and other household items such as books. gorgeous chest of drawers. super quality. would definately recommend. super service, delivered on time. will become a regular customer. thankyou !!!! i received bedroom furniture and drawers absolutely over the moon with the quality and finish. i would definitely recommend top furniture 5 star. Very happy with chest of drawers. Excellent service from Emma. She tried 3 different ways to contact me about delivery after she realised from my dialtone that i was abroad on holiday. Was delivered this morning even with the bad weather. Thinking about buying the wardrobe to match. Thank you. Excellent,we are very happy with our new chest of drawers. Furniture is solid no assembly required for the drawers. Good packaging to protect goods. Very pleased with quality and finish. 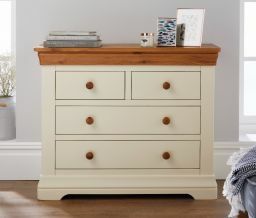 Lovely solid Chest of Drawers - delivered on time! This is a solid piece of furniture which has a good finish,the drawers run smoothly and at the price you couldn`t fault it. Very pleased with the look of the chest exactly like the picture! Well made, very well packed, all communications excellent arrived on time, very happy. If there are any negatives would have been better if the drawers were deeper!! Good quality. Bought to go with existing furniture. Matches well and looks lovely. The delivery guy was very polite and cheerful. Would recommend product and company and would definitely use again. Well made and attractive furniture that looks good in the bedroom. Drawers are smaller than expected but overall a nice set of bedroom furniture. A lovely piece of furniture, which looks fantastic in my room. The design and craftsmanship of the drawers are beautiful, it's excellent quality at great piece which is great value for money.